RICE LAKE, WI (June 8) – Bob Thompson, who waited a very long time to get to victory lane before finally winning a main event last year, didn’t have to wait nearly as long for the second victory to occur. Thompson, who raced in various classes for the last thirty years before finally winning a feature race last year, was one of five new winners in the 2013 racing season Saturday night at the Rice Lake Speedway. Other winners on Saturday included Sam Fankhauser, Nick Koehler, Jason Forehand and Kevin Adams. On a night when rain was predicted to fall, it instead turned out to be a very nice night for racing and a good sized crowd and nice turnout of racers was on hand as the speedway completed its third night of racing during the 2013 season. Thompson started on the outside pole in a field of twenty Pure Stocks to take Troy Holder’s green flag and Bob immediately started battling with Jimmy Holden for the lead. Thompson was able to grab the front spot but still faced heavy pressure from Mike Chaplin and John Erickson. The yellow flag flew frequently in the early going, with three stoppages after one lap was scored complete. The most significant yellow was for opening night winner Hunter VanGilder who lost a wheel in turn three after moving into a challenging position. Thompson continued to hold the top spot as Erickson was all over his back bumper. Jason Havel, who started seventh on the grid, proceeded to the front also and he began to challenge Erickson for second while C. J. Wagner, the last winner at the track in the Pure Stocks, also came to the front. Once again the yellow flew with seven laps complete for a spin which again bunched the field. Thompson set the pace on the restart but Havel moved to the outside in the double file restart and tried to get past the leader while Erickson continued to work the low side. Havel nearly pulled off the pass but slid high, and he dropped back and set up for one last shot as the white flag waved. Again Jason tried the high side but he slid out in turn two again and Thompson continued to hold him off while Erickson rode his rear bumper. Erickson was waiting for a mistake to occur but Thompson maintained his line and drove home for the win by a car length. Havel tried once again to get by on the high side but he slid out and Wagner took the third spot from him at the line with Holden completing the top five. A yellow flag slowed Pure Stock feature was offset by a Midwest Modified main even that went nonstop from green to checkered with Koehler taking the win. Nick, who won his first feature ever at Rice Lake last year, continued his strong performance in the early season by holding off Shane Halopka for the win. Koehler pulled out to a nice sized early lead, fighting off the challenges of Tito Viltz and Kerry Halopka but his main challenger ended up being Shane Halopka. Shane started on the outside of row three, but using the high side of the track, he was able to drive past his brother and Viltz to take over second. He then began to gradually close in on Koehler. Continuing to use the higher line, he pulled up beside Koehler and very nearly got past him for the lead, but Nick was able to successfully fight him off. Halopka continued to press him and tried the high side again. He appeared ready to set up Koehler as the white flag flew, but a lapped car on the high side forced Halopka to pull back in line. So he tried a low side dive on the final corner but Koehler had the line covered and drove home for a one car length win. Viltz finished third while Josh Smith made a late drive to take fourth from Kerry Halopka. Fankhauser won an action packed Street Stock main that saw him facing the wrong way in front of the field at one time but he recovered from that to take the victory. Bob Wahlstrom and Andy Cimfl shared the front row and they along with Heidi Karshbaum and Ashley Wahlstrom battled in the early going. Ashley found an opening and moved into the lead with Adam Soltis tearing up from the third row to challenge quickly. Soltis tried to move into the lead in turn four but got run up the track and Fankhauser, who has started one row further back, used the opportunity to drive into second. When Wahlstrom slid up the track in turn one, Sam dived to the low side and took over the lead. Then things got interesting as Fankhauser and Wahlstrom got together in turn three with Sam being turned around in front of the entire field. The “big one” was avoided though, and Fankhauser was restored to the top spot for the restart. Sam then pulled away from the field as Soltis tried to track him down. Cody Kummer and Ron Hanestad has a good battle for third as they swapped the position back and forth before Kummer settled down with it. Fankhauser was just too strong for the field Saturday, and despite the best efforts of Soltis, he was not able to cut into the advantage and had to settle for second. Cooper Berlin, in only his second time behind the wheel of a Street Stock, was able to record a solid top five finish. With only one yellow flag to slow the action in the Super Stock feature, Forehand was able to take an early lead and build on it and then at the end fight off a late race challenge from Shane Kisling and Dan Gullikson for the win. Forehand started on the top side of row one and pulled to the early lead as Bart Steffen and Aaron Wilson battled for second. Kisling soon joined in to challenge with Gullikson gradually working his way up after starting in row four. Forehand had nearly a straightway lead on the field when Kisling broke free into second and Shane then set to run down Forehand. Gullikson broke free next and he also set off after the leader. Gullikson moved to the inside of Kisling and then battled for second while both closed on the leader. As the laps ran down, the battling duo closed to within a couple of car lengths but Forehand refused to make a mistake as he maintained his line and held on for the win, despite the fact that Kisling closed to his rear bumper on the final corner. Gullikson made a last ditch attempt to get past Kisling but settled for third with Wilson and Eric Olson completing the top five. Mark Hanson and Paul Brust battled for the early lead in the Modified main event. Adams started in row two and he was able to slide between those two cars as the field raced into turn three and he beat Hanson out of the corner to take the lead. Adams then opened up a slight advantage as the battle for second now raged. Cory Mahder, after starting sixth was on the move and he was able to get past Hanson and then Mark Hessler to take over second and he then set off after Adams. Meanwhile, Dave Cain was also working his way into contention after starting in the fourth row. Mahder cut into Adams lead, being especially efficient in turn three where he was able to drive deep into the corner and cut the distance between the leaders. As Cain moved into third, Mahder took a couple shots diving inside Adams, but Kevin was able to beat him out of the corner and hold on. Two late yellow flags gave both Mahder and Cain shots at the leader but each time Adams was up to the challenge as he held them off. Near the end, Cain tried hard to get under Mahder for second and this actually gave Adams an advantage to pull away by a couple of car lengths. The top three finished in that order with Hessler recording another solid finish in fourth while Hanson took his first top five of the year, holding off Brust. Earlier in the evening, the awards for the best appearing car in each class were awarded based on voting on opening night. The winners were Pat Hoffman(Modified), Andy Grymala(Super Stock), Heidi Karshbaum and Sam Fankhauser(Street Stock tie), Joe Chaplin Jr(Midwest Modified) and Hunter VanGilder(Pure Stock). 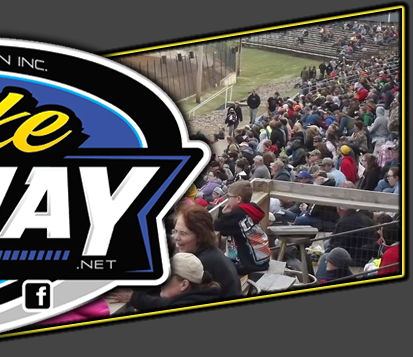 On Tuesday, June 11, the speedway will hold its first midweek event of the 2013 racing season. 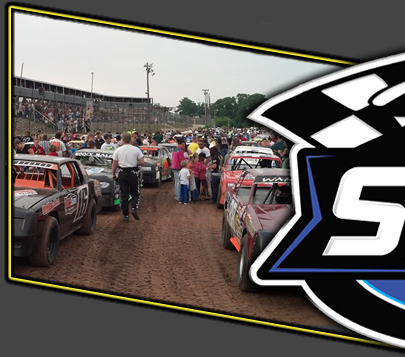 The second annual George Rhoe Classic will feature WISSOTA Super Stock as the premier class, with forty or more cars expected to be on hand chasing a $2,000 check for the winner. Drivers from several states are expected to be on hand for this race which takes the green flag at 7 p.m. WISSOTA Street Stocks and Pure Stocks will also be featured. This will be the only racing action of the week at the speedway as the track will remain dark on Saturday night due to the Aquafest celebration which will be in full swing. 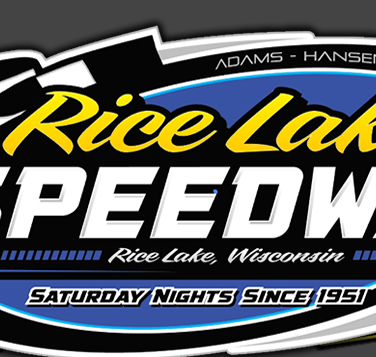 20 lap Feature – Kevin Adams(Cameron), Cory Mahder(Elk Mound), Dave Cain(Corcoran MN), Mark Hessler(Menomonie), Mark Hanson(Chippewa Falls), Paul Brust(Rice Lake), Matt Leer(Bruce), Scott Miller(Rice Lake), Pat Hoffman(Rice Lake), Steve Hallquist(Eau Claire), Tim McMann, Buddy Mayala, Dave Mayala, Aric Lindberg, Wayne Poteet, T.J. Adams, Dale Mathison, Mike Anderson, Dave Baxter.